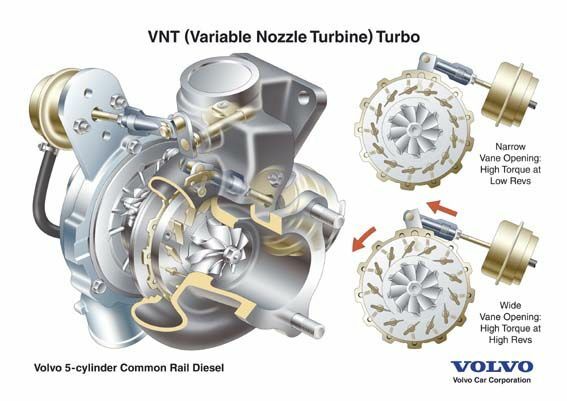 Variable Nozzle Turbine (VNT) or Variable Geometry Turbo (VGT) is similar. These days, all Common-rail direct injection Turbo Diesel engines are capable to deliver massive horsepower and torque. All thanks to the technology of VNT/VGT. With this system, the turbine on the intake side has movable guide vanes that change position to provide optimum flow conditions and a high turbine efficiency rating, throughout the engine speed range. This permits high boost pressure from low engine speeds, and thus a flatter torque curve and higher power output. The movable guide vanes are controlled by the engine management system, adjusting gas flow to the turbine to ensure optimum efficiency. The result is that the engine responds instantly to the throttle, providing excellent drivability. 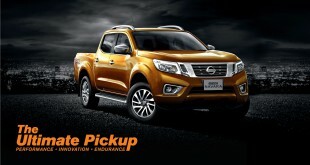 Pick-up Trucks like Toyota Hilux 3.0 and Nissan Navara as well as Volvo cars with turbo diesel engine are running on such turbo technology. That is the major source of the turbo diesel engine enormous reserves of torque!